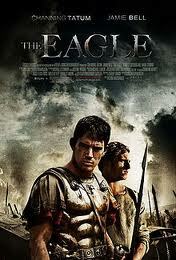 Review: A young soldier goes off to find a lost legion’s golden emblem in memory of his father. Really enjoyed this film. Both actors tried their best but felt that they didn’t really have much to work with and not really directed the best that they could have been. The costuming was brilliant and thought they worked hard getting that aspect of the film right. They could have worked a bit more on the accents. The location and the scenery was breathtaking. Based on a book by Rosemary Sutcliff called Eagle of the Ninth.